Eleonora Duse was born today, October 3, in 1858. She was an Italian actress, often known simply as Duse. She is regarded as one of the greatest actors of all time, noted for her total assumption of the roles she portrayed. She came to fame in Italian versions of roles made famous by Sarah Bernhardt. She gained her first major success in Europe, then toured South America, Russia, and the United States; beginning the tours as a virtual unknown but leaving in her wake a general recognition of her genius. By this time, her career was in full swing and her popularity began to climb. Between 1887 and 1894 she had an affair with the Italian poet Arrigo Boito, perhaps best remembered as Verdi's librettist. In 1895 she met Gabriele d'Annunzio, who was five years her junior, and the two became involved romantically as well as collaborating professionally. Gabriele d'Annunzio wrote four plays for her. When d'Annunzio gave the lead of a play to Sarah Bernhardt instead of Duse, there was a furious fight, and Duse ended her affair with him. Bernhardt and Duse were unspoken rivals for many years. Comparisons of Duse to Bernhardt with regard to their acting talent were common, with warring factions arguing over their relative merits. Those who thought Duse the greater artist included George Bernard Shaw, who saw both actresses in London within the span of a few days, in the same play. In 1896, Duse completed a triumphant tour of the United States; in Washington President Grover Cleveland and his wife attended every performance. Mrs. Cleveland shocked Washington society by giving in Duse's honor the first-ever White House tea held for an actress. 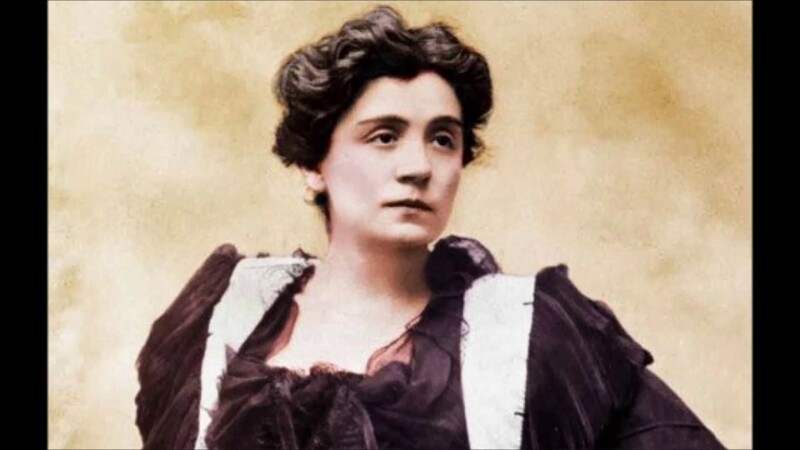 In 1909, Duse met and became involved in an affair with Italian feminist Lina Poletti. The two lived together in Florence, Italy, for 2 years before ending the relationship. Duse died of pneumonia at the age of 65 in Pittsburgh, PA, on April 21, 1924. She was on the eastward return leg of a tour of the United States.